• Sony Music has serviced two of the songs to be featured on Damien Leith’s forthcoming covers album ‘Roy’. 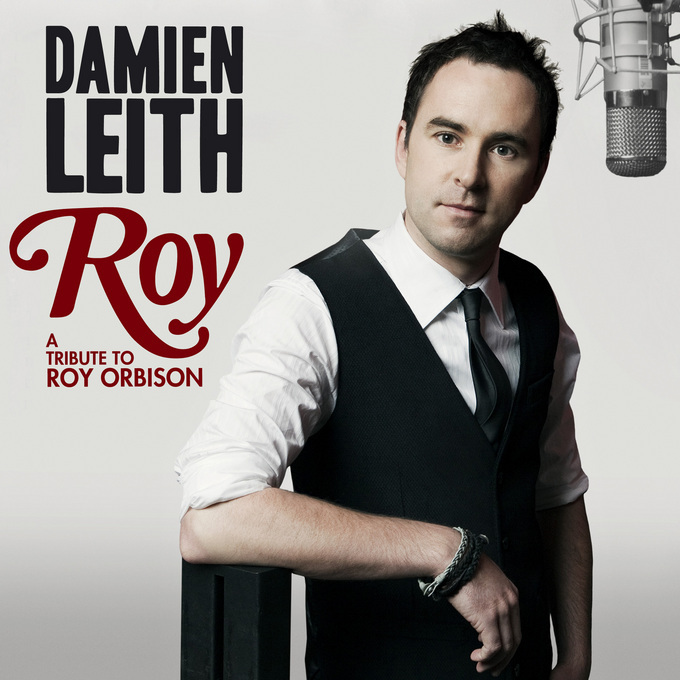 The tracks sampled to media yesterday morning are Damien’s versions of ‘Oh Pretty Woman’ and ‘Only The Lonely’. In the meantime, the former Idol star has been confirmed as a cast member on this season’s ‘Dancing With The Stars’, due to kick off next month. • Also new to radio from the Sony stable this week are the new T-Pain & Chris Brown single ‘Best Love Song’ and the Pitbull track ‘Give Me Everything’ which is already tearing up the most added lists. • New from Universal Music this week are the new single from Rihanna called ‘California King Bed’ and Martin Solveig’s new single with Kele (we announced that one late on Sunday). • EMI, meanwhile, have sampled two new songs from the forthcoming Danger Mouse album – ‘Two Against One’ and ‘Black’ – the latter featuring the vocal talents of Norah Jones. • EMI has also serviced Austra’s ‘Lose It’, Cass McCombs’ ‘Country Line’, The Kills’ ‘Future Starts Slow’ and the banging new Alex Metric/Steve Angello track ‘Open Your Eyes’. • Bone Thugs ‘N’ Harmony have announced a change in date and venue for their forthcoming all ages show in Sydney. The band will no longer play in Blacktown on April 23 – they’ll now be hitting the stage at the Hurstville Entertainment Centre on Sunday April 17. More information HERE. • The lads from Architecture In Helsinki have premiered their brand new album ‘Moment Bends’ on the Triple J website. The album is streaming in full HERE ahead of its release into stores this Friday. • The dominance of Jennifer Lopez’ comeback tune ‘On The Floor’ continues this week with a number one placing on the British singles chart. She knocks off Adele’s ‘Someone Like You’, but LMFAO wasn’t too far behind with their latest single ‘Party Rock Anthem’. New at No.8 was Katy B’s newbie ‘Broken Record’. • And on the UK albums chart, it’s an Adele 1-2 again with her albums ’21’ and ’19’ respectively. Ronan Keating moves up a couple of spots to No.3, while the week’s highest new entry comes courtesy of The X Factor’s Mary Byrne with her debut long player ‘Mine & Yours’. Britney’s new LP ‘Femme Fatale’, already a No.1 gold selling album here in Australia, debuts at a disappointing No.8, just behind Radiohead’s ‘King Of Limbs’. wow! amazing! Sony finally pulled a finger out…albeit a pinky in their promotion of ‘Roy’ With only 10 days until release will be interested to see any visual (TV, mags) promotion. Sony’s marketing genius extends to releasing Roy Orbison’s Complete Monument singles 2CD/DVD package on the same day as Damo’s Roy album. I wonder which the fans will buy?? I am in total shock. Are you sure this is Sony we are talking about? Servicing 2 of Damien’s songs to the media. Pick me up off the floor. About time they gave him a break. He is the most under rated artist they have and it’s about time they gave him some promotion. Where are the TV ads for this album coming out? Thanks Asup0p, you are doing a great job.